We're expanding! 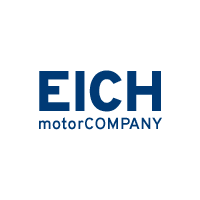 If you are looking for an exciting career in the automotive industry, Eich Motor Company in St. Cloud, Minnesota is looking for you. If you are looking for an exciting career in the automotive industry, Eich Motor Company in St. Cloud, Minnesota is looking for you. We are currently seeking talented individuals to add to our award-winning sales staff. If you are an energetic, self-motivated person looking for a consultative sales position with unlimited earning potential and a great benefits package, please apply. Develop a thorough knowledge of our products. Consult with customers to find their specific needs. Thoroughly demonstrate the features, capabilities, and benefits of our vehicles. This includes test drives. Introduce customer to the finance manager and inform the customer that the finance manager will explain the different extended service plans available to them. Deliver vehicles to customers and ensure that the customer understands all the features and capabilities of the vehicle. Explain the warranty, the maintenance, and perform an introduction to our service department. Meet with sales management teams. Review sales objectives, activities and accomplishments. Utilize and maintain our customer contact management system to assure that we consistently and effectively communicate with all of our customers. Sales and/or customer service experience. Auto sales experience is a plus but not a deal-breaker. Valid driver’s license and a clean driving record is required. Education: High School diploma or the equivalent is required. A college degree is always welcome. If you are looking for an exciting career in the automotive industry, Eich Motor Company in St. Cloud, Minnesota is looking for you. We are currently seeking talented individuals to add to our award winning service staff. We are looking for an experienced technician to service our customers. Perform work specified on the repair order with efficiency and in accordance with dealership standards. Participate in training through the manufacturer to stay current on changing technology. We will provide the necessary tools and training to enable someone with mechanical aptitude to get started. Current valid driver’s license with an acceptable driving record is required. Full time position and the ability to work occasional Saturdays. Eich Motor Company is a Mazda, Volkswagen franchised automotive dealership that has been in business in central Minnesota since 1898. In its 4th generation of local family ownership, we are laying a foundation of unparalleled customer service, building and strengthening our community, and giving back to those in need. You will enjoy working for a dealer that truly values its employees! Eich Motor Company is an equal opportunity employer.